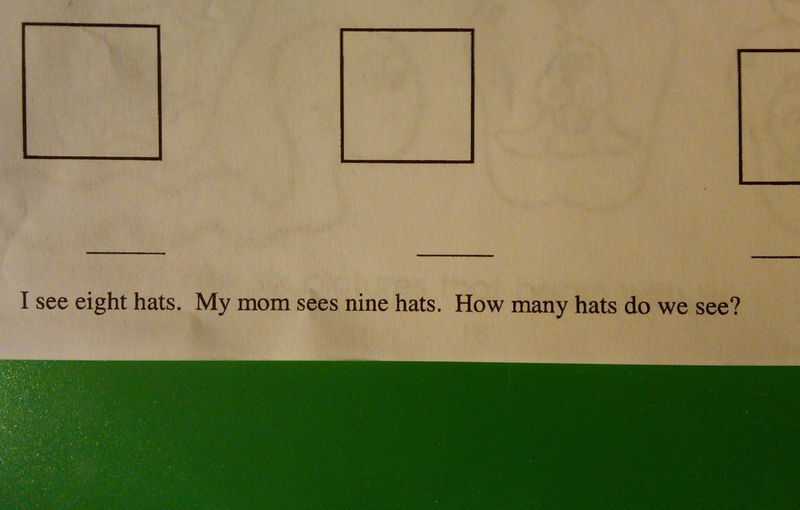 So remember the first part of my quandary about my kid’s math homework from this morning? Well, now I’m on the next question and I’m stuck again. I’m not sure what “do we see” means. 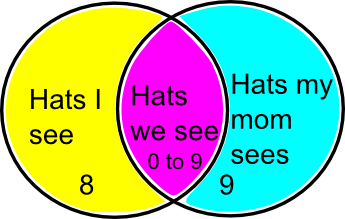 Does it mean how many hats of the 17 do they both see? That could mean this. 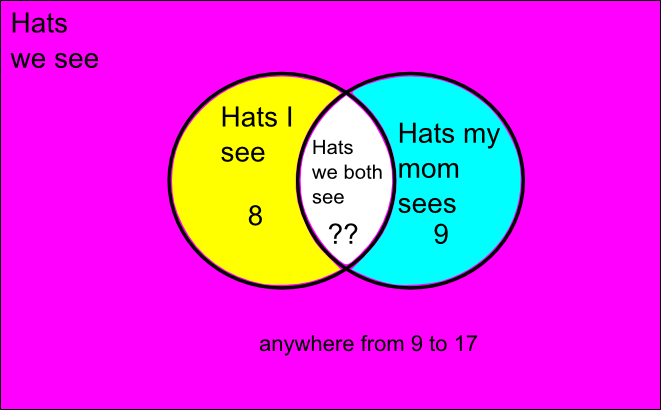 Then again, “hats we see” could mean that she and I are in separate rooms and the questioner (me?) would like to know how many total hats do we see? 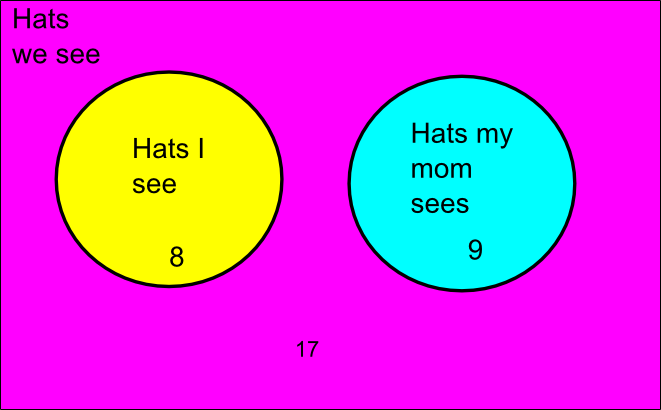 But then, there could be overlap of the “hats we see.” I could see 5 of the same hats my mom sees. In such an instance we would have this. Seems a bit in depth for Kindergarten if you ask me.